You don’t have to get old. Follow the principles of the Life Athlete—where pain is not gain, where less is more—and attain your ideal fitness, for life. A way to strengthen and quiet your mind so your mind and body work together toward your goals. A “thinking man’s athlete,” Peter Shmock developed his Life Athlete program—a plan and practice for maximum achievement, fitness, and confidence–by constantly evolving it over his decades long commitment to fitness and helping people become their best as a two-time Olympic athlete, strength and conditioning coach for the Seattle Mariners and University of Oregon Athletic Hall of Fame member. 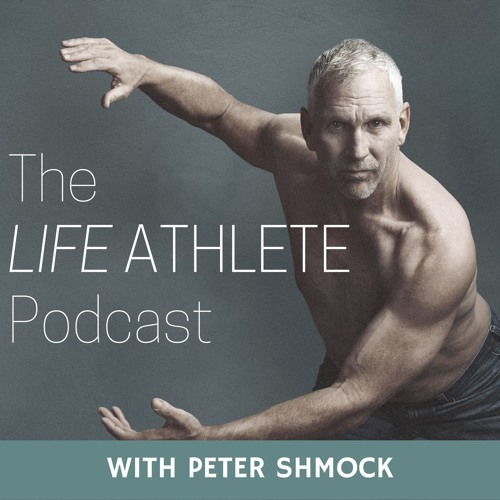 In this Podcast, Peter brings in guests and friends who are leaders in the fields of health, fitness, athletics and business who will help you follow the principles of the Life Athlete: a better way to stay fit, have more energy, and perform better in day-to-day life.